Homeless, unfortunately, they are everywhere. Despite the different centers, there are still a lot of homeless people who sleep on the street.. This has to change, and can change! Thanks to the Homeless Project Home. 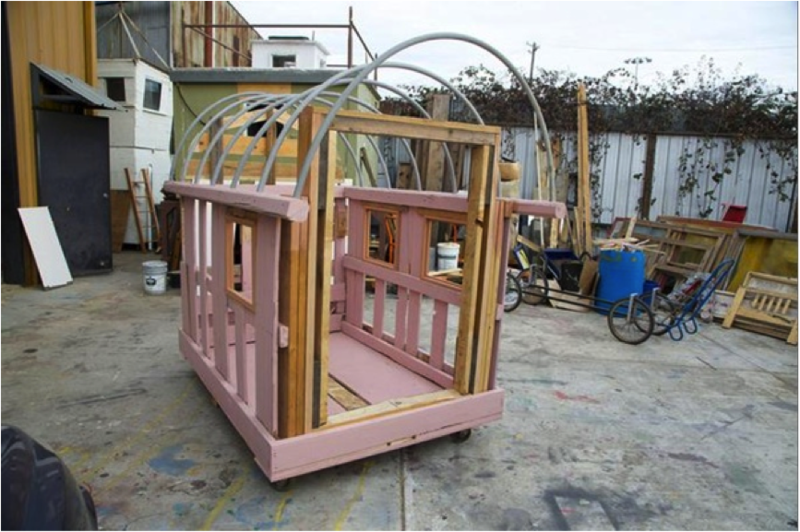 The Homeless Home Project is an idea of ​​Gregory Kloehn, a Californian artist. He used old materials and debris to build little and mobile houses for the homeless. The materials that Kloehn is using for these houses are dumped stalls, old household items and waste from companies. Because all of those materials can be used, every house will be different and unique. Yet al these houses have one thing in common: they all have wheels! The wheels give the nomads effect where the homeless are accustomed. To me, the link to Quality of Life seems quite obvious: shelter is one of the basic necessities. The Homeless Home Project is a beautiful and durable initiative that contributes to the Quality of Life of rovers. This project is cool because these houses are made of recycled and durable materials and were built to give shelter to the homeless. 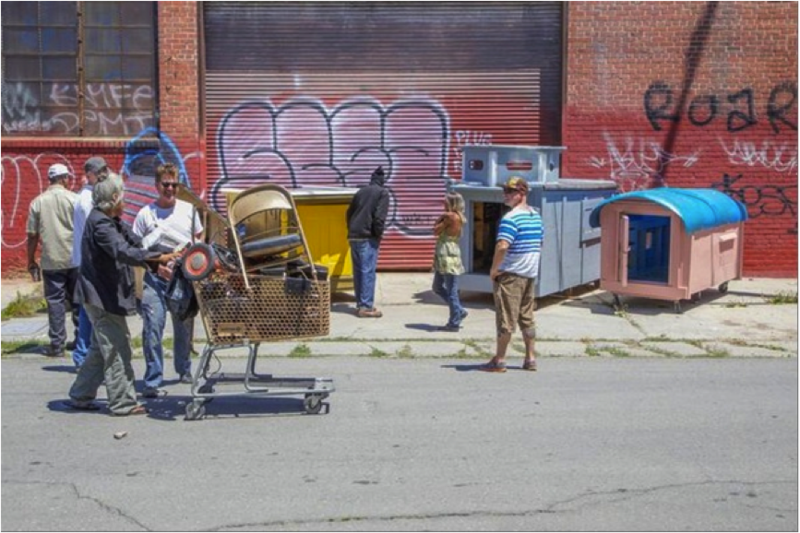 The Homeless Home Project is a reuse project, just as the Bureo. The Bureo is a skateboard made of fishnets. These fishnets were dumped or left in Chili.